Single story homes of this size, with this size lot do not come up often in this great community. 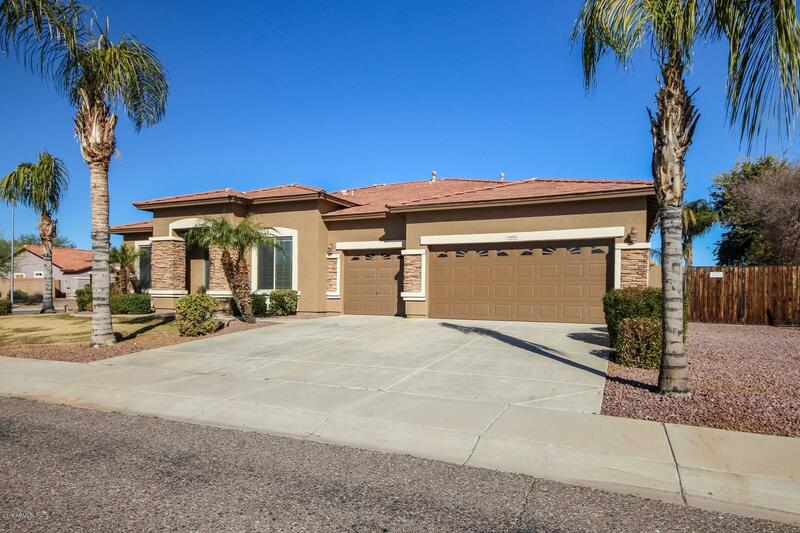 Beautiful home situated on a quiet street in the prestigious Sierra Montana area in Surprise . This home has room for everyone in the family to enjoy. Spacious master bedroom with a walk-in closet. 3 bedroom plus den, 2 bath. Spacious eat-in center island kitchen w/granite countertops. Relax in the spacious family room w/great view of the back yard & pool. The backyard has room for all of your outdoor needs. Let's not forget the oversized lot with R.V. gate for easy access.